St. Pancras church in a small medieval village on Lake Geneva. Some friends came for a visit so we took a mini-tour around various parts of Haute-Savoie near Lake Geneva. 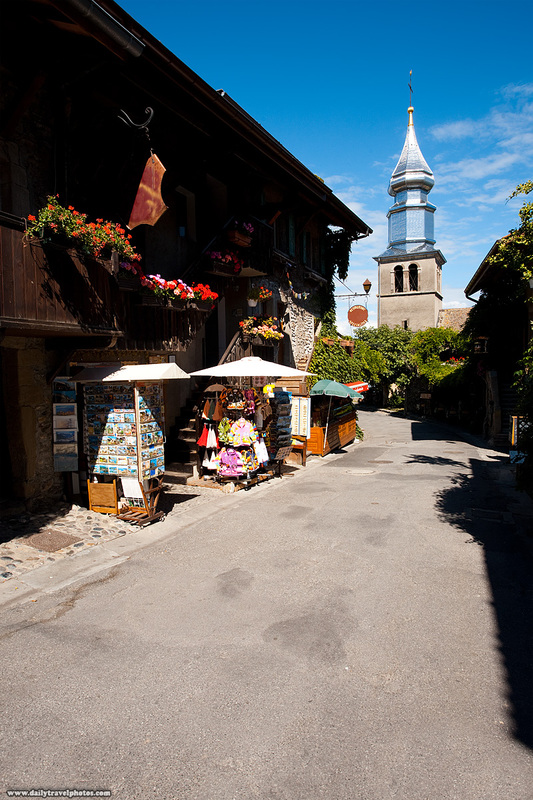 One of our first stops was a quick detour through the lakeside stone hamlet of Yvoire on our way up the coast to Evian les Bains, home of overpriced world-famous Evian bottled water. 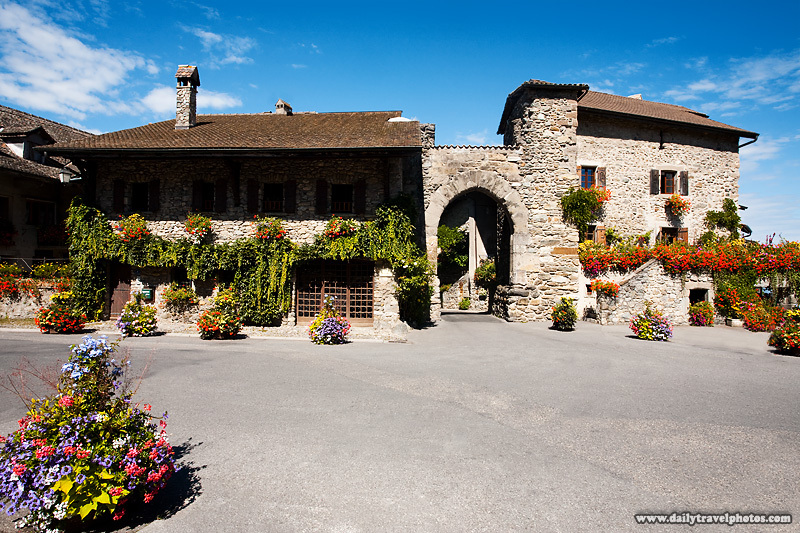 The flowery entry gateway into lakeside village, Yvoire. More Haute-Savoie mini-trip photos to come.